Dr. Salgo has been host of public television’s only regularly scheduled health series since 2003. Second Opinion is produced by WXXI, the University of Rochester Medical Center (URMC), and West 175 Productions. Other nominees in the category include: Dr. Mehmet Oz of The Dr. Oz Show, Larry King of Larry King Now, Steve Harvey of Steve Harvey, and The Chew co-hosts Mario Batali, Carla Hall, Clinton Kelly, Daphne Oz, and Michael Symon. Dr. Salgo is a practicing physician at Columbia Presbyterian Hospital in New York City. Specializing in intensive care medicine, the pre- and post-operative treatment of heart patients, heart transplant recipients, and artificial heart candidates, he maintains a full-time practice in Intensive Care Medicine in the Surgical ICU's at Columbia. He is a Clinical Professor of Anesthesiology and Medicine at Columbia University College of Physicians and Surgeons. Dr. Salgo is an Emmy Award-winning health and science correspondent. For more than two decades, he was the Health and Science Correspondent for CBS affiliate WCBS-TV in New York. He anchored the CBS Radio’s Healthtalk, CNBC’s America’s Vital Signs, and the syndicated broadcast Healthcare 2000. He covered the war against heart disease, the dawning of the age of AIDS, the deciphering of the human genome, and the development of Retin-A. He pioneered the concept of investigative medical journalism, exposing the terrible working conditions at Pym Thermometer Company in Brooklyn. Second Opinion, now in its 13th season, presents intriguing, real-life medical cases to specialists, who grapple with diagnosis and treatment options to give viewers the most up-to-date, accurate medical information. Each week, Dr. Peter Salgo engages a panel of medical professionals and patients in honest, in-depth discussions about life-changing medical decisions. 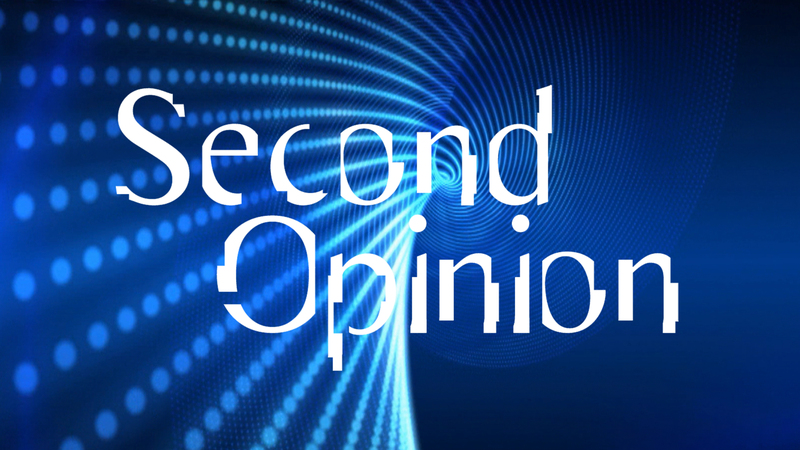 Second Opinion airs Thursdays at 8:30 p.m., Saturdays at 3 p.m., and Sundays at 12:30 p.m. on WXXI-TV, Thursdays at 7:30 a.m. and 1:30 p.m. on WXXI-WORLD (DT21.2), and on more than 250 PBS stations across the country. To learn more, visit: secondopinion-tv.org. Second Opinion’s executive producers are Elissa Orlando, Elizabeth Brock, and Fiona Willis. The series is distributed by American Public Television and is made possible with support from the Blue Cross and Blue Shield Association (BCBSA). This Daytime Emmy nomination comes on the heels of WXXI’s four New York Emmys® Awards that the station received on March 19, 2016. The ceremony for The 43rd Annual Daytime Emmy Awards will be held in Los Angeles on Sunday, May 1, 2016.